WASHINGTON (CNN) – Barack Obama famously became the first Blackberrier-in-Chief when it was reported the president received a $3,000 NSA-approved smartphone to use following his inauguration. It was quickly dubbed the “Barackberry” and the president was often seen with the device. Today President Obama was asked during a Univision town hall if he owns a computer. Obama joked, “I’m the President of the United States. You think I’ve got a - you think I’ve got to go borrow somebody’s computer?" He added that he even has an iPad. Surely this makes Obama the most tech savvy president in history – he owns a computer, carries a blackberry, listens to an iPod, and now he uses an iPad. After all, George W. Bush never used email during his two terms and Bill Clinton sent just two emails while in office. But up until recently, Obama was iPadless. When asked by Thai Prime Minister Abhisit Vejjajiva during his November visit to Japan if he owned one, Mr. Obama responded, “These days mostly I have someone carrying my books. 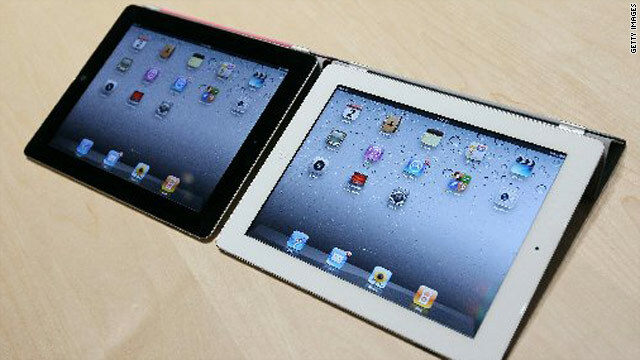 So that's my iPad," Obama said, referring to his longtime personal aide Reggie Love. It wasn’t long after his February visit to California where Obama dined with Silicon Valley types including Apple CEO Steve Jobs, that the president was spotted using an iPad in the Oval Office by a CNN photojournalist awaiting presidential remarks in the Rose Garden. The White House did not respond to CNN’s questions about which generation iPad the president uses, or for what purpose he uses it. Thank you for that last line, Bonney Kapp. Your check from the RNC should arrive within 5 -7 days. Really? This is what CNN considers newsworthy? This is what you do with your high ranking position at CNN? Your pathetic. The state of modern journalism should have been improved by the cyber age but you nuts are determined to continue to dumb yourselves down in spite of it. Good luck w/ that.